Released in the most famous Miracle Blessing Ceremony, which was performed with the presence of hundreds of Lersi Hermit Masters from India Thailand and around South East Asia, whom Ajarn Chum had invited to assist in the empowerment. This particular example is attractive because of the crystals formed on the surface of the front face on the Buddha Image. Under the eye loupe they glisten and show transparency, reminiscent of Authentic Buddha Relics. 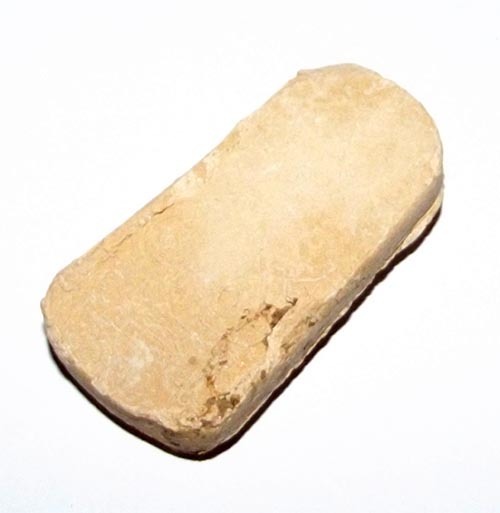 The 'Long Gru' 2511 BE release is a much harder and lighter colored amulet,, which looks more like clay, than sacred powder. This fact is due to the drying if the atmosphere and changing humidity factors of the Gru chamber, which resulted in the amulets having a distinct appearance to the jet black ones which were not stored for more than 12 years in a closed chamber. There were two different Pim (models) one with smooth rear surface, and the other, rarer, 'Hlang Yant Ha' (five Buddas Yantra) on the rear face. The black 2496 BE Hlang Yant Ha model is the Pim Niyom of all models, and now a much more expensive item to acquire than the smooth backed model. The supply from the Gru Chamber finally were depleted in 2524 BE, as the very last amulets from the 2497 Indochina War edition were handed out. 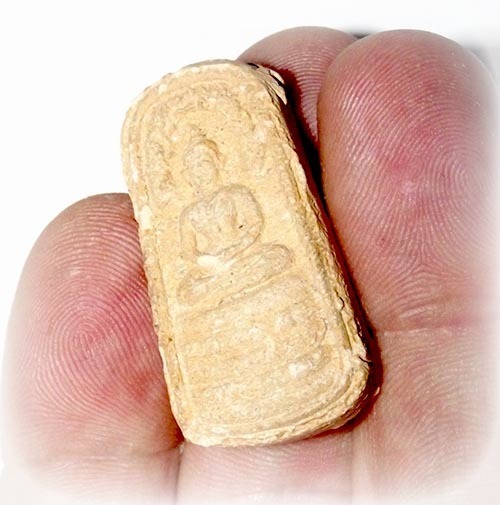 Hundreds of Gaeji Ajarn Guru Monks were present to perform their Chants, and Meditative Blessings upon the Amulets. The Long Gru versions of this amulet (placed in a 'Gru' chamber buried for a time before release) are the 'Pim Niyom' versions (preferred). This is for the fact that they were given further empowerment in the Chamber and charged with Buddha Magic, and their Classic Appearance and ease of authentification due to the 'Kraap Gru' mildew stains which only are found on the Pim Niyom versions of this series. 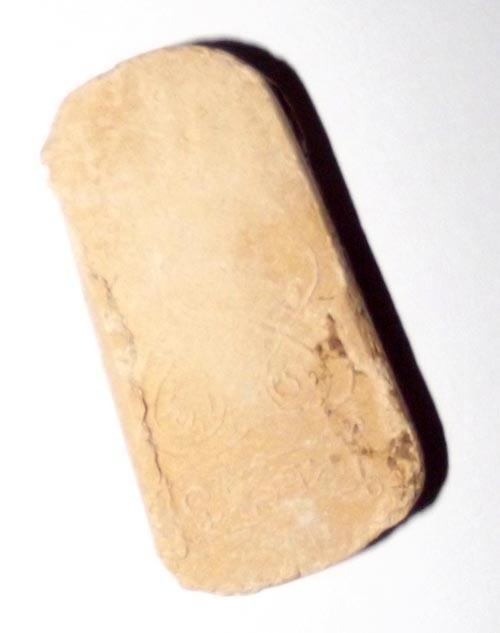 This amulet was one of a number of different amulets, oils, and Takrut charms plus some special ritual items such as magic Mai Kroo wands and Mitmor knives, which were involved in the famous ceremony of Maha Ud magic performed by Ajarn Chum with amazing displays of invincibility magical proof. This amulet has immense Kong Grapan power (bullet and knife proof). 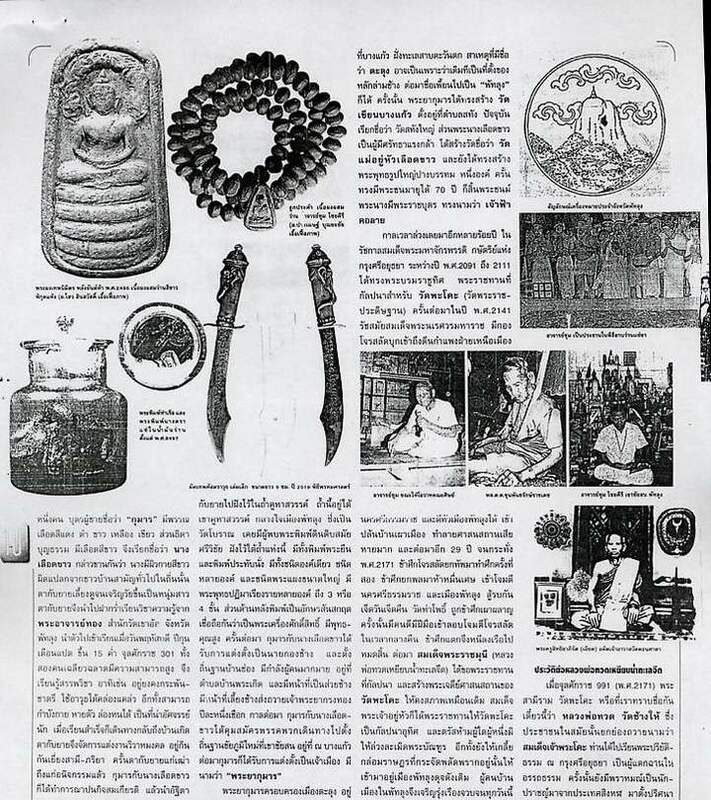 The famous maker of Jatukam, Khun Pantaraks Rachadej was also involved in this ceremony. The reason that this amulet is called 'Taep Nimit, is that the word Nimit means 'appear in a vision', and thie Dtamra (legend) of Ajarn Chums 'Taep Nimit' amulets began with a vision in a dream, in which an ancient Monk appeared and foretold that those Humans who do not follow the Dhamma and have Moral Precepts will be engulfed in attacks by great weapons the world has never seend before, be invaded by pirates and thieves who are worse than wild animals, and attacked by ghosts and demons. 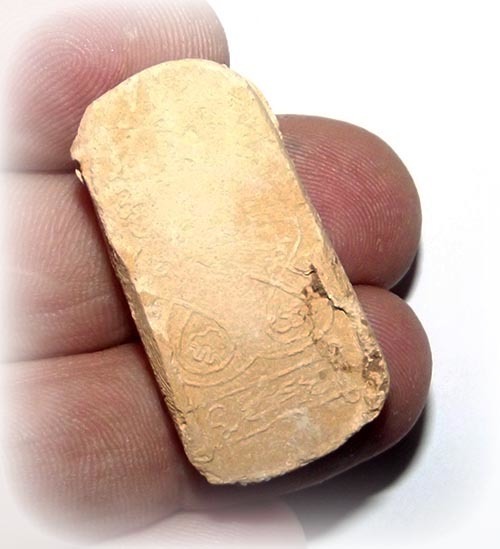 Ladies will find this amulet a very good choice because of its petite size and thinness. Comes with or without free waterproof casing. We can offer free Waterproof Transparent Acrylic Casing with this item if you wish, merely select the option before checking out. Solid Gold Fancy Framed Hand Sealed Waterproof Custom Casing is available at an extra cost and with a waiting time of an extra ten days. Pra Nakprok Taep Nimit was created and empowered in 2496 BE by Ajarn Chum Chai Kiree.It was empowered at Wat Banpot Nimit. 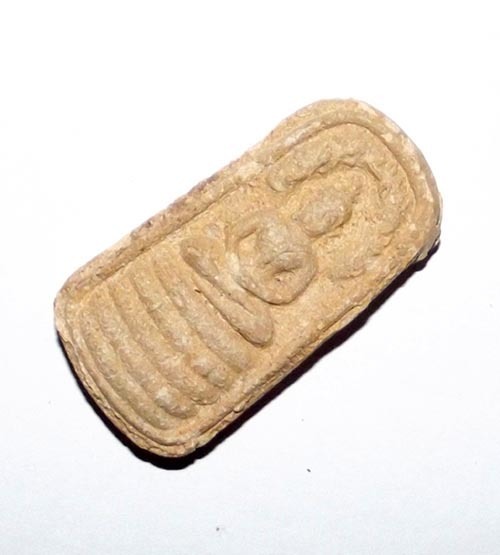 The amulet is in the form of the Buddha with a seven headed Naga canopy depicting the moment that the Naga King gave shelter from the rain to the Buddha as he sat in deep meditation in his attempt to enlighten. 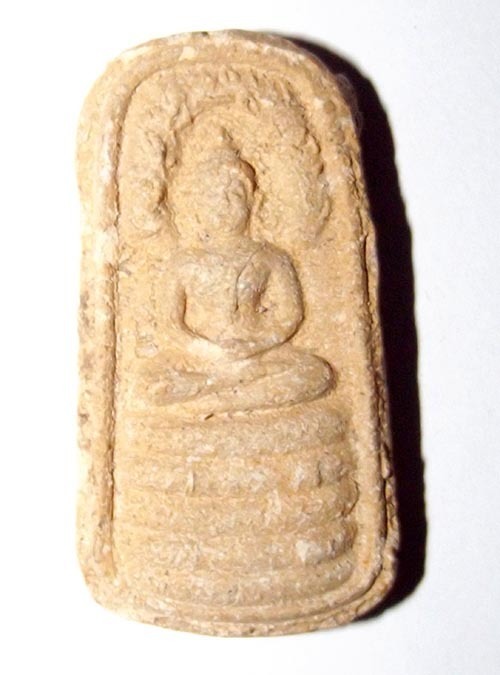 The amulet is detailed for its small size with the facial expression visible on the Nakprok Buddha. 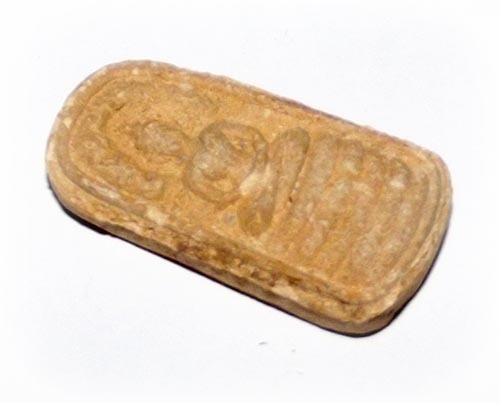 The Muan Sarn used in the sacred powders in this amulet include flowers offered to the Buddha from all the Royal temples. as well as from a host of many of the most sacred public temples around Thailand, broken pieces of the Chedi Stupa and leaves from the Bodhi tree at Nakorn Sri Tammarat, a collection of the best sacred powders from a large number of the Greatest Ajarns, including Pong Wised from Ajarn Kong (the Ajarn of Khun Phaen himself), which was discovered when digging under the Chedi of Ban Sri Prajant in Supannburi. The amulets finally ran out and were completely depleted in the year 2524 BE, when the very last amulets were distributed after the final opening of the Gru chamber. 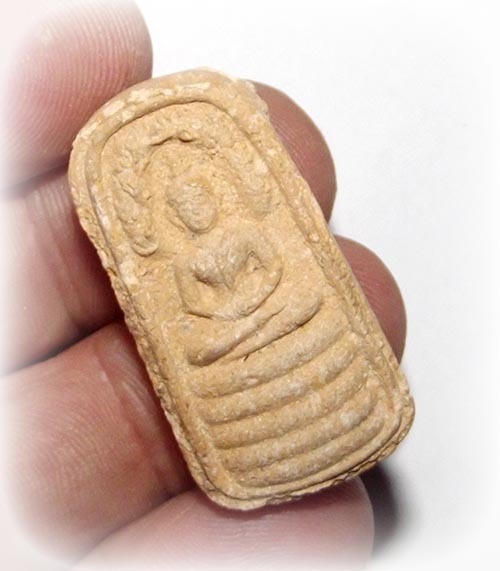 Ajarn Chum Gave a Traimas empowerment to the amulets. As usual in the empowerment of the Puttapisek final ceremony, the famous Khun Pantagij Rachadej was present to add his Incantations to the blessing. 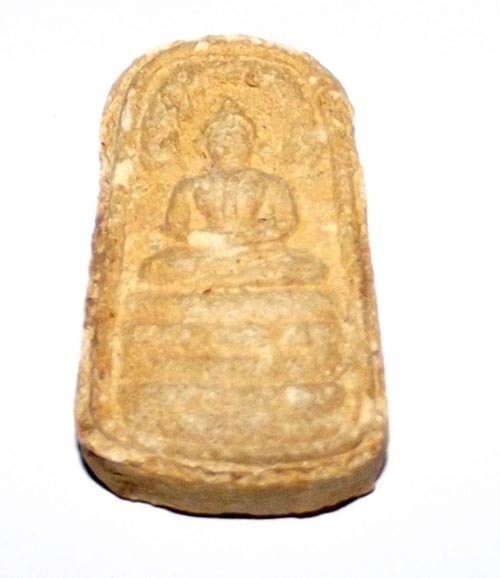 This amulet was given out to Devotees present in the Wai 2496 BE Wai Kroo Ceremony. A host of Famous Gaeji Ajarns of the Khao Or Lineage were present to assist with the blessings and Puttapisek chanting. 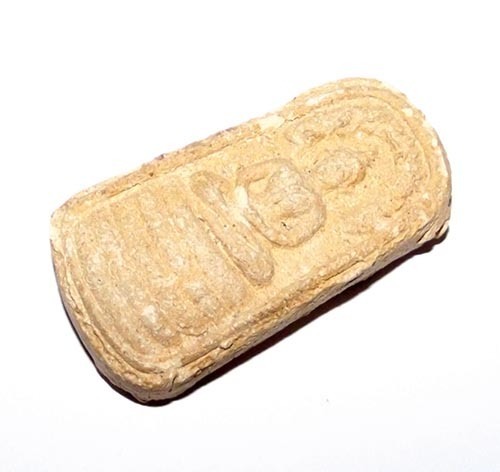 The remainder were placed inside a Gru Birial hiding chamber, and later retrived, to be released at the 2511 BE Miracle ceremony, now so famous as one of the most important ceremonies in the History of Thai Buddhism and in Thai Occultism. He should gather this from 108 Sacred temples, and mix with pieces of powdered bricks from the Relic Stupa of Nakorn Sri Tammarat. In addition, the Monk in the vision said he should take powders from the great Bodhi tree, and powders from various important Samnak (temples where magic is practiced), and the sacred powders of Ajarn Kong (who was the Guru of Khun Phaen). These powders should be made into a Buddha amulet and given three months of empowerment. 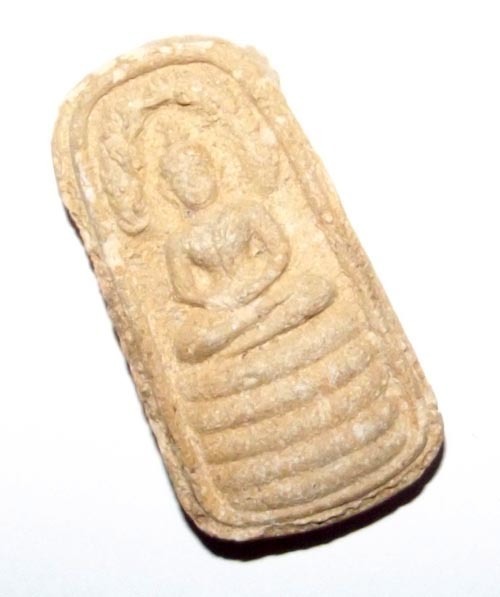 Tests should be made on the amulets for their power, and also those who recieved them and wear them must make an official oath to the Buddha Dhamma and Sangha to leave sinful and immoral activity forever, and to practice Metta and offerings to the Sangha. If those who wear the amulet can keep these rules, they will be completely safe and protected from the predicted evils. 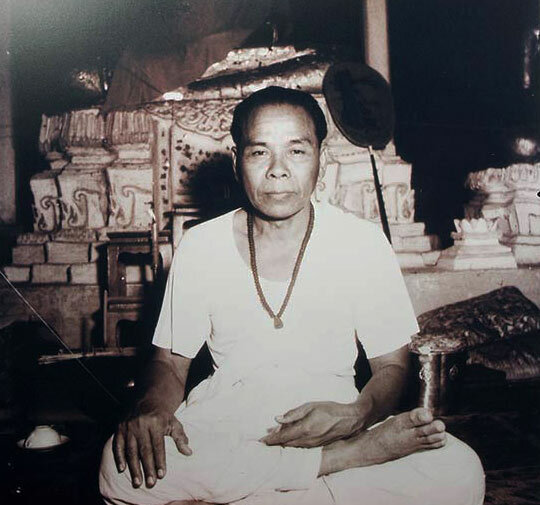 In the year 2470 BE, Luang Phu Kong (Wat Kae, Supannburi) entered the body of a Civil servant in Pattalung, South Thailand, and spoke through him, revealing the Dtamra of making a kind of Pra Khun Phaen to Ajarn Chum Chai Kiree. 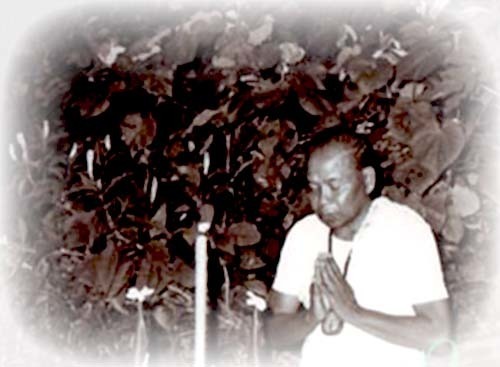 This Khun Phaen was called 'Pra Pong Taep Nimit' During the Puttapisek and further three month empowerment, Luang Phu Kong visited and entered the consciousness of Ajarn Chum the whole time to assist in the empowerment. Luang Por Kong was abbot of of Wat Kae, in Supannburi (Wat Tan) who lived during the time that Ayuttaya was the Royal Seat, and was the first Ajarn of Khun Phaen himself. The Luang Por Kong of Ancient Fame created the Pra Khun Phaen Ruean Gaew and gave to Khun Phaen himself for protection and blessings. Chant Namo Tassa 3 times first (as must be done before chanting to any amulets) Then pray hard and declare that you take refuge in the Buddha, Dhamma and Sangha, then gaze at the Buddha on the face of the amulet for a moment, before breathing in and saying innerly 'Bud' and breating out and saying 'Dho' (or Put-To, depending on your pronunciation). Keep doing this until your mind is still and clear. Once you have attained the stillness of meditation, then begin to chant the following; I Sawaa Su Su Sawaa I - A Sang Wi Su Lo Bu Sa Pu Pa (3 times) If you have any bothersome influences or events occurring, or questions you need answering, then light incense and call the devas that take care of the Buddhas to come, whilst thinking of Luang Phu Kong and Pra Khun Phaen. Then place your hands together with the amulet between them, and begin to chant the following; Na Ma Pa Ta Neu Meu Peu Teu Keep chanting it until the Deva of the amulet enters your mind, after which you wil be able to pose questions in your heart without words. 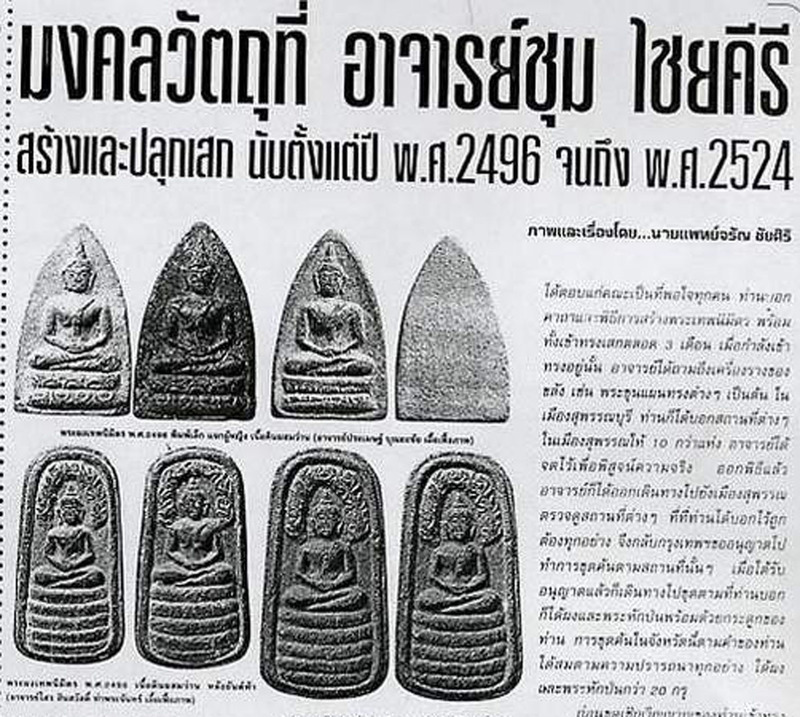 Ajarn Chum made the following statement about the Pra Pong Taep Nimit before handing them out; "This amuet i guarantee to truly protect from dangerous weapons of all kinds, including protecting from, and preventing thieves and pirates, and wild dangerous animals. The amulet is heavily leaning towards Metta Mahaniyom and Maha Sanaeh power. Both Men or Women or Children can use it". "It is forbidden to take the amulet and test its power for fun, which would be disrespectful, and endanger you of using up the miracle power it holds to protect you in the true moment of dire need. If you do not believe in the amulet, you should not come forward to recieve one, for it will bring you bad luck". Kong Grapan Chadtri and Klaew Klaad magic at its finest. Below, You can view evidence of the miraculous events which occurred after one of Ajarn Chums amulet blessing ceremonies (2511 BE). 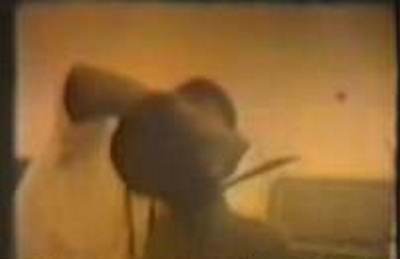 Ajarn Chum always used his famous magical oil to smear on the heads of the Devotees before performing Kong Grapan Magic, which you can also see him doing in some parts of the below video recording, taken at the Puttapisek blessing of his amulets in 2511. A certain amount of the 2496 and 2497 Taep Nimit amulets were immediately distributed to the Military, and in the Wai Kroo Ceremonies of 2496/2497, but some of them were kept in Gru chamber, until 2511 BE, and empowered constantly until then, and handed out during the Puttapisek.